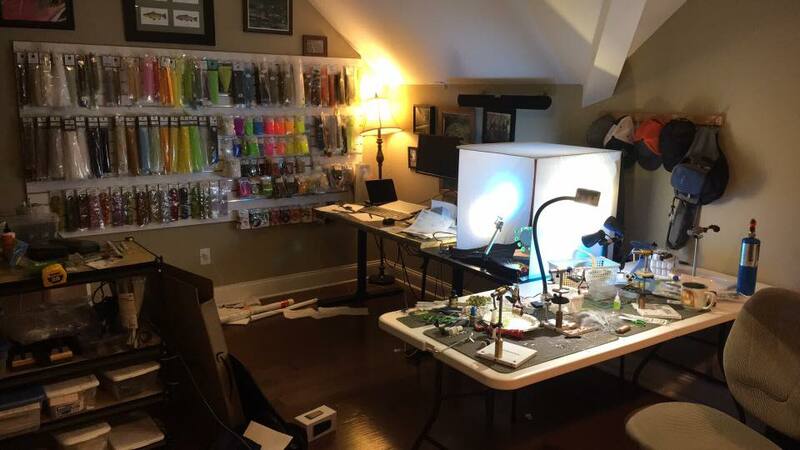 Looks like you have a great setup for fly tying. 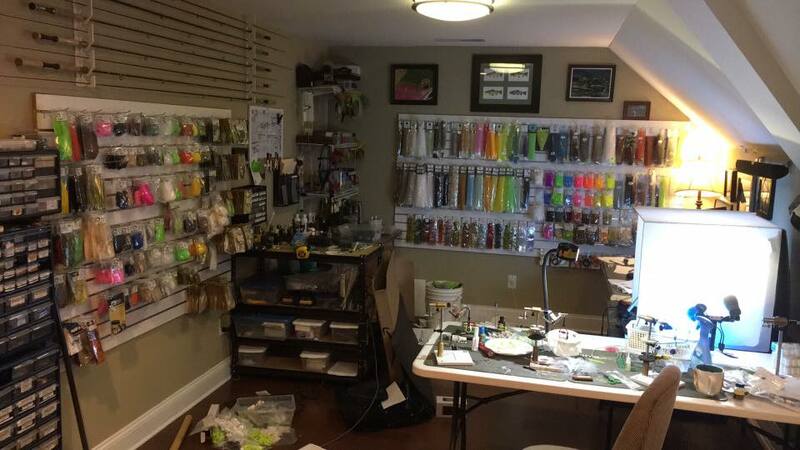 What is the cabinet/booth that you have set up behind your tying station? It looks like it might be used for spray painting? Also, what is your favorite vise and bobbin which you use?